Mom, The Decimal Point is Moving Again! I’ve had the pleasure of modeling a formative assessment lesson/classroom challenge in all regular ed 6th grade classes over the past two weeks. I must say, I absolutely love how these lessons are formulated to pull out the misconceptions lurking below the surface of students’ understanding. These times were no different. Because this task focuses on converting decimals to percentages and percentages to decimals, I kind of figure I would have to tackle the notion of the decimal point moving. I thought this would be a perfect time to make the explicit connection to place value standards from 4th and 5th grade for teachers and students. Just to be clear I’m referring to 4.NBT.1 and 5.NBT.1. As we wrapped up the lesson, in every class, students discussed how they converted the decimal to a percentage by moving the decimal point two spaces to the right and converted a percentage to a decimal by moving the decimal point two spaces to the left. I had them right where they needed to be. We entered the values of a decimal and its percentage equivalent. I asked students the location of the decimal point for each number. 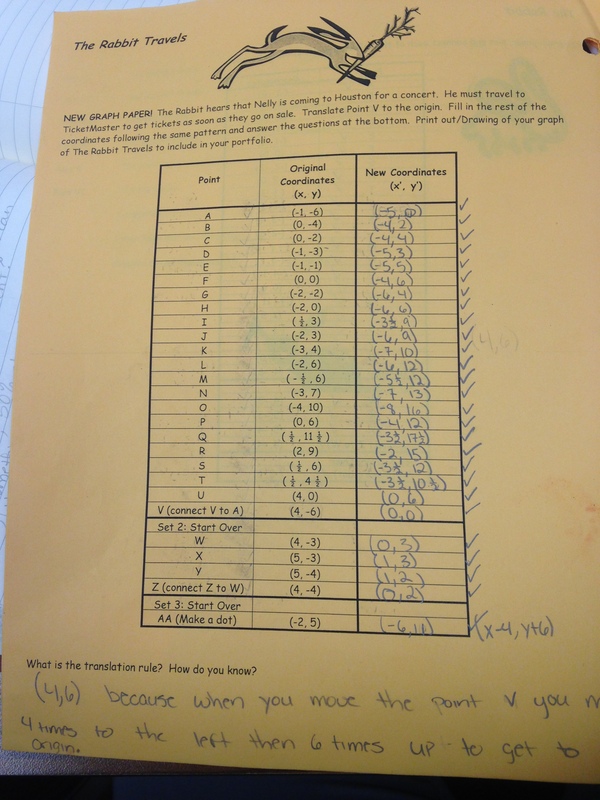 Ensuring students attend to precision, I asked guiding questions to get them to articulate the decimal point was between the ones and tenths place for each number. I asked students, if the decimal point moved. Many were able to conclude the decimal did not move. We had to determine what actually moved. Students grappled with the idea that in fact the decimal did not move but it was the digits which shifted. 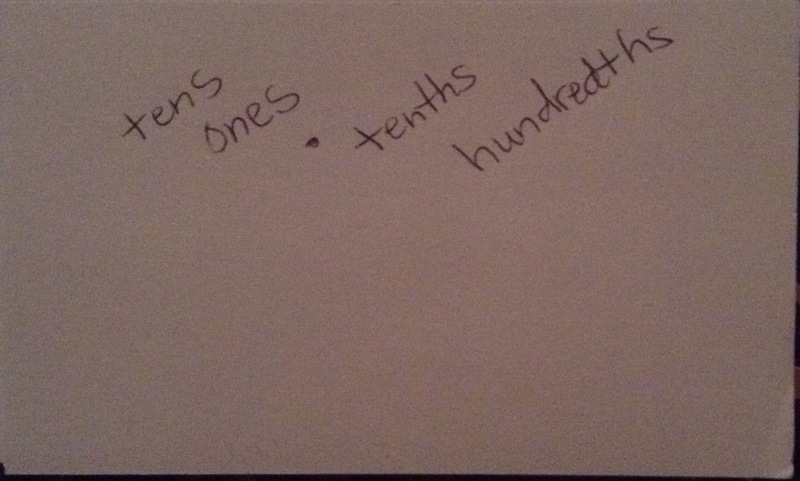 In one class, a student even articulated, when we multiplied by 100, the number become 100 times larger! Yes!! 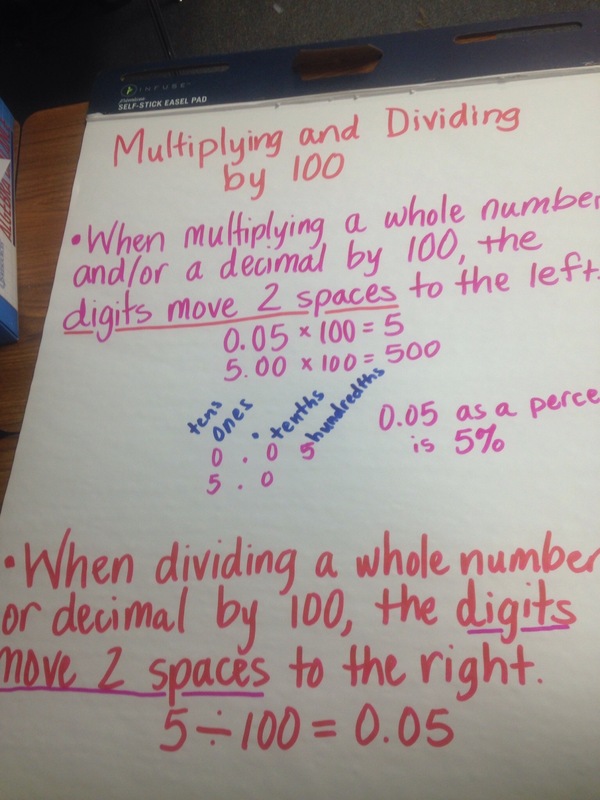 Anchor charts will serve as a reminder of what is actually happening to numbers when multiplying or dividing by 100. My hope is as teachers continue the conversations about the concept, they will attend to precision and discussing the magnitude of numbers instead of stating something which is mathematically impossible. One of the great things about coaching at a school where you previously taught is you get to see former students and talk with them about their new year. Recently, a former student approached me and said, “You know the difference between this year and last year is you taught us the why and how. This year, my teacher only teaches us how, not why and it confuses me because I don’t understand.” This was powerful because he was a student who resisted my student-centered approach. He hated doing small groups and often asked if he could just do work out of the textbook. To say you are “reducing” a fraction creates misconceptions, the fraction is not smaller. Use simplify instead. Mathematics is a precise discipline and teachers don’t realize the slightest deviation from true mathematic language can make the content incorrect. Exponents indicate how many times the base appears as a factor, not number of times a number is multiplied. -(-4) should be interpreted as the opposite of -4. Algorithms and shortcuts are not bad, the key to using them to help rather than hinder understanding lies in the sequence of events. Relying only on algorithms and procedures and focusing on shortcuts result in teaching efficiency, not mathematics. As a result of naked math, teachers and students easily lose sight of the meaning of numbers and numerals. Memorization of rules and mastery of computation are not the same as true knowledge of mathematical concepts and ideas. Shortcuts become the means to get answers with the unfortunate result of bypassing conceptual understanding. This makes it difficult for students to understand more advance or complex mathematics. By not taking shortcuts and insisting on illustrating the full process (cra), it’s possible to make explicit connections among concepts. As I reflected upon this post, I thought, well this is project based learning. Now I do not proclaim to know much about project based learning. My understanding is students work to complete an ultimate project that connects to the betterment of their community all the while learning components of concepts which are in turned applied to completing the project. What I have observed within an 8th grade classroom over the past two weeks slightly mirrors this. 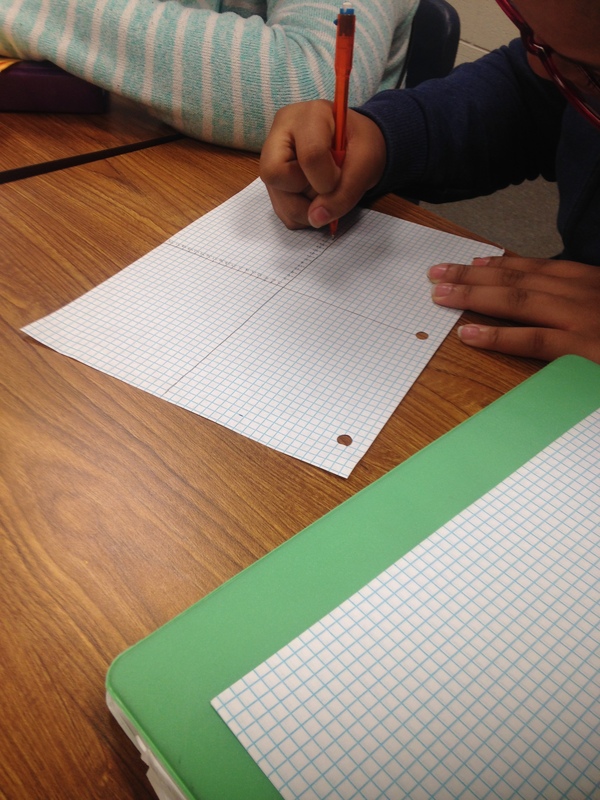 The teacher introduced The Bunny Project by conducting a mini-lesson on plotting points on a coordinate grid. Once the mini-lesson was complete, students were able to begin working on the project. 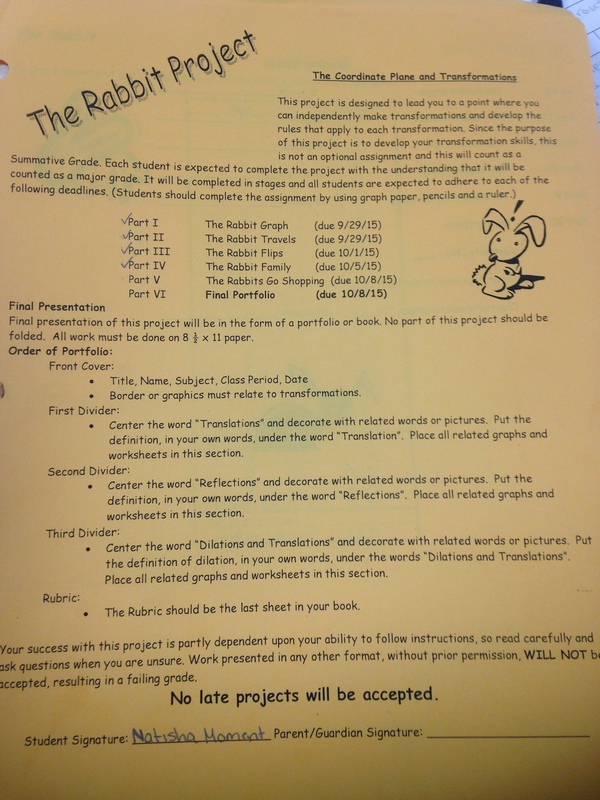 The first part of the project calls for students to plot points in order to create the image of a rabbit. With each component of the project, the teacher strategically scheduled mini-lessons to discuss the concepts students would need to apply within the project. In her 15-20 minutes mini-lesson (of a 70 minute class) the teacher implemented short activities requiring students to derive the rules for translation, reflection, dilation and rotation. Most activities were adapted from those within the Navigating Through Geometry 6-8 book. Immediately following the mini-lesson, students were able to work on their projects. Here’s an example of the teacher’s weekly lesson plan. Monday, she conducted a mini-lesson on translation and students worked on part 2 sliding or translating the rabbit along the coordinate plane. Tuesday, the mini-lesson covered reflection allowing students, who were ready, to move on to part 3 of the project and those who needed to finish up parts 1 and/or 2 had the freedom to do so. 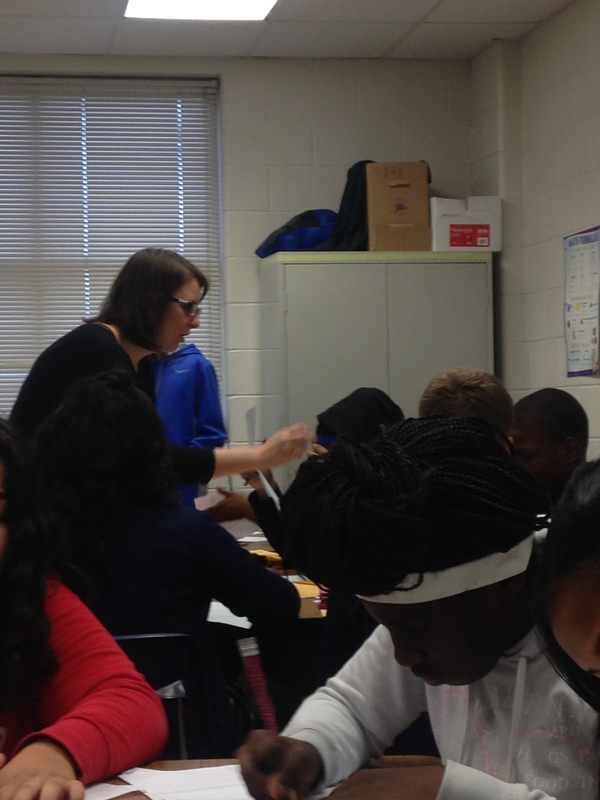 Students were engaged, received immediate feedback and had an opportunity to immediately apply concepts taught. Which made be ask, what if we taught all math concepts like this? I know there would need to be opportunities for additional practice built in. Wouldn’t this cut down on the number of Kunta software worksheets or even numbered problems assigned out of the textbook? Wouldn’t this require conceptual teaching in order for students to apply it within the project?